How to Make Bootable Pendrive: Hello Friends In today's article, we are going to tell you how to create a Bootable Pendrive by using the Power ISO Software. 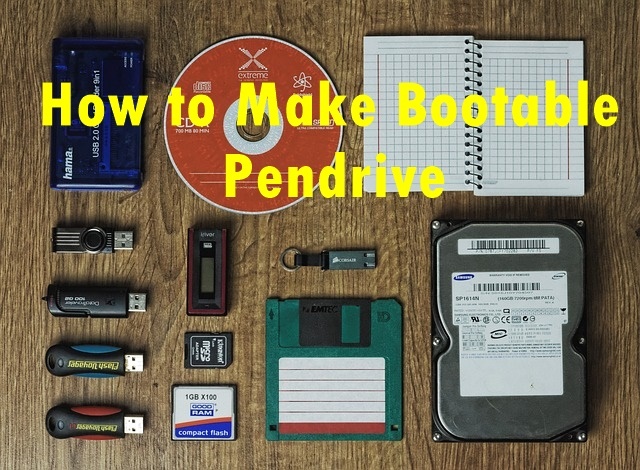 Let us tell you that all this information is available with Screen Shot so that you can easily learn How to Make Bootable Pendrive. Friends, Power ISO, CD or DVD is software to write and it is so popular that almost all people who write CDs or DVDs use this software so we will learn to create Power ISO Se Windows Bootable Pendrive. Before that let us tell you that this software is not free, you have to purchase it but you can use this software in Trail Version in Free and you can create Power ISO Se Windows Bootable Pendrive. Pen Drive- First of all, you have a Pen Drive that you have to make bootable. Remember that the size of your ISO file should be the lower than your Pendrive i.e. if you have a 7 GB ISO file then your Pendrive must be 8 GB. Power ISO Software- You will need Power ISO Software which you can download from the Internet free. When you download the software, always use its latest version. ISO File / Image- Ultimately, you should have an ISO / Image file that allows you to boot your Pen Drive. First, you'll open Power ISO software. Now if you don't have Power ISO software, download and install it on your laptop. Once you open the Power ISO software, you get a menu bar above, as shown in the picture above. You can click on the tool options in the menu bar and you will open all the options in the Tools menu, you will get the "Create Bootable USB Drive" option in these options. Please give it, click on it. Now, a new pop- up window opens on your screen with three things to do. Source- You have to select the file location. 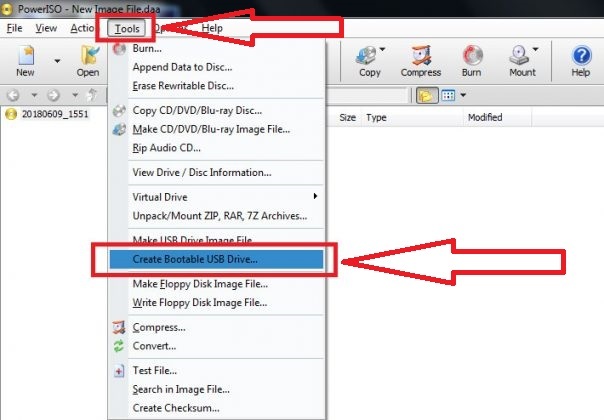 You click on the icon in the given folder and select it anywhere you have saved the ISO file on your computer. Destination- You have to select your Pendrive in this box. Note: first, you must format your Pen Drive. Start the process- Now click the Start button. This begins to become your Pen Drive bootable. This process also takes some time to wait and you will receive a notice of success on the screen as soon as the process is completed 100 percent. Turn the Power ISO Software off now and remove your pen drive. Now, after deleting your Pen Drive, make sure that your Pen Drive is bootable and that you can format your computer or laptop. A lot of people think that Bootable Pen Drive is better or Bootable Disk (CD / DVD) so let's give it that the two are the best at their own place, only the difference is on two things. Scratches- Bootable Pen Drive does not come with scratches like Disk, so all your files are safe and the chances of getting worse are very low. But after making the Pen Drive bootable, if you want to format it again, you will see that the speed of your Pen Drive has become very slow. So you can say that making Pen Drive a bootable is a bit expensive because it will help you reduce your work from your Pen Drive. Formatting Speed- Pen Drive will save you time by formatting a computer or laptop because if you format the computer with Pen Drive, it will be very soon and you will be able to use it soon. Now if you have any questions related to this topic How to Make Bootable Pendrive, Be sure to comment in the box and if you are new to Tech By TK Website then you must subscribe to our latest Post information on your given email address.